FortiSwitch Secure Access series of Ethernet LAN Switches deliver outstanding Network Security, Performance and Manageability for threat conscious Small to Mid-sized Businesses, Distributed Enterprises and Branch Offices. Installing Wireless Access Points and IP phones in the network is simple via the integrated Power over Ethernet (PoE) ports, with power and data being delivered over the same network cable. 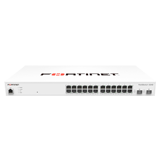 Tightly integrated into the FortiGate Connected UTM architecture, the FortiSwitch Secure Access Switches can be managed directly from the familiar FortiGate interface. 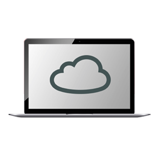 This single pane of glass management provides complete visibility and control of all users and devices on the network, regardless of how they connect. When the Enterprise Network Edge is further extended using Fortinet’s range of FortiAP™ Secure Wireless LAN Access Points, a consistent network access policy is enforced across both the wired and wireless LAN, providing a true Unified Access Layer. The Power over Ethernet (PoE) capability enables simple installation of wireless Access Points and IP phones in the network, with power and data being delivered over the same network cable. There is no need to contract electricians to install power for your PoE capable devices anymore, reducing your overall network TCO. By leveraging the FortiSwitch VLAN segmentation feature of the switches, enterprise networks can support the convergence of voice, data and wireless traffic onto a single network platform. FortiSwitch network segmentation can even be managed from the FortiGate interface, simplifying the process of meeting compliance requirements for data separation.